The question being raised here is what will WQXR do in its next pledge drive, on its FM broadcast and the 105.9 web stream, to raise the visibility and bring to its listeners Q2, its web based New Music service? I am posting this here at “Whither…” because it is a large topic. But because this blog has been rather dormant, I will be posting it also at the more active MusicSprings. That’s a lot of work, folks, I hope someone reads it somewhere. Before that, a bit of a preamble about another PubRadio service in the New York Metropolitan area which has absolutely failed to do anything with its web assets. WBGO, Jazz 88, Newark, New Jersey, has tremendous web assets which are never pitched during pledge drives. I have called them incessantly during pledge drives and excoriated them for this failure. They have a 96k web stream for the broadcast. They produce wonderful concerts from the Village Vanguard and J&R Music which are then made available for listening and the occasional download by National Public Radio. Many of the concerts are available as videocasts. There is a huge treasure trove of video archives. WBGO originates broadcasts from jazz concerts around the country and Canada. None of this has been pitched in their pledge drives. WBGO seems to aim their pitches to downtown Newark. Public Radio, so much of it now available on the internet, needs to take advantage of its newly emerged global presence. Recently, the The Daily Trojan, from the University of Southern California, let us know that KUSC, Classical Public Radio in Los Angeles, has members in 38 states and 11 countires. That’s not exactly chopped liver. 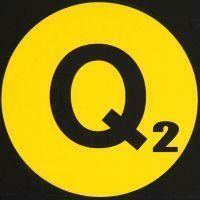 So, Q2 from WQXR has been with us now for what? Nine or ten months. Q2 is the on line 24/7/365 service devoted essentially to New Music, Classical and Avantgarde music of the late 20th century, and, as the mottos say, “500 years of new music”, and the “fearless music we crave”. It is the successor to wnyc2, a similar service of WNYC prior to the takeover of WQXR from the New York Times. It is safe to say that the people running Q2 have done an outstanding job of bringing us not only great music; but also a wonderful and ongoing series of special projects devoted to composers, musical styles, and the New York New Music scene. We have had “Eight Days of Steve”, devoted to the music of Steve Reich; the choral premier of David Lang’s Little Match Girl Passion for which there is an accompanying video ; Homophony, a celebration of the music of Gay and Lesbian Composers, with special guests Nico Muhly and Pauline Oliveros; the Look and Listen 2010 project from the Festival of the same name; Hammered, devoted to music for keyboards – of all kinds; Hope Springs Atonal a special segment “devoted to the high octane world of post-tonal music; Contact!, a series curated by Alan Gilbert and Composer- in Residence Magnus Lindberg with the New York Philharmonic “featuring world premiers from seven composers on the international contemporary music scene. Did I get them all? 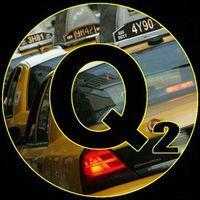 Whoops, no, I missed Cued Up on Q2, a Summer festival of New Music concerts recorded live in New york City, a whole series of audios of great performances. Boy, that’s like when George Harrison almost forgot to introduce Billy Preston at the Concert for Bangladesh. A super important component of all of this Q2 activity has been Nadia Sirota on Q2, a four hour segmented and quite modular production which has included a great deal of the above mentioned special programming. Nadia’s gig runs for four hours every weekday and night at noon and midnight. In fact, Nadia is, in my estimation, the Joe Namath/Derek Jeter/David Wright of Q2. She is Juilliard trained and a great teacher, along with being a rising force in her own right on the New Music scene as a violist. If I remember correctly, she was the rock of the John Cage project that ran some time ago on WNYC. 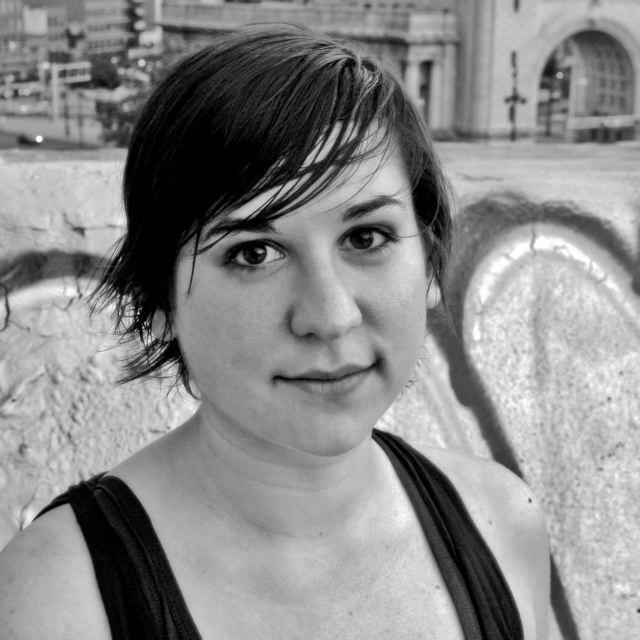 Nadia is a founding member of ACME, the American Contemporary Music Ensemble. She has performed with The Meredith Monk Ensemble, Alarm Will Sound, Continuum., and the Icelandic based Bedroom Community. You can read the rest of her accomplishments at her MySpace page, see About Nadia. I am a Q2 addict and fanboy. Q2 is saved as a bookmark on all of my computers in my own player Winamp. So, WQXR, what are you going to do on the radio to raise the visibility of this incredible resource in your future pledge drives. Are you going to fail, like WBGO, to spread the word? Does anyone at WQXR think I am off base or out of bounds? I hope that some person or people at WQXR will respond with comments. Congratulations are in order to KUSC.